What a year it has been. I had the privilege to document 15 beautiful weddings and meet so many fabulous people in 2017. I’ve put together this post of my favorite 24 images from those 15 wedding days. 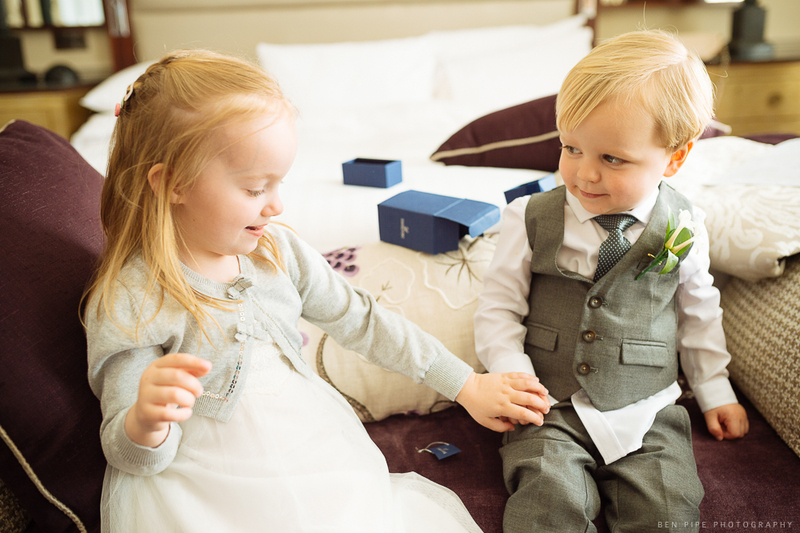 From Laura and Oliver’s wedding back in March. I loved this tender moment as one of the bridesmaids asked the bride’s father to help with the bracelet. 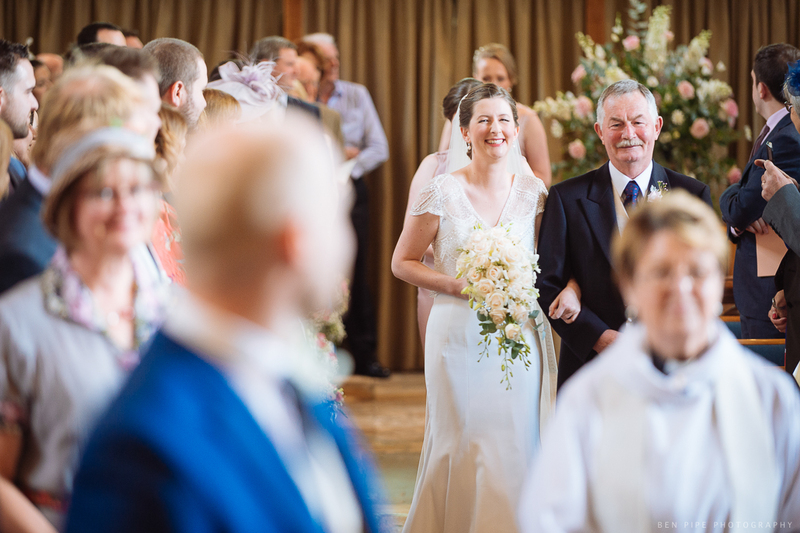 As a wedding photographer I’m always looking to capture those smiles and behind the scenes moments of weddings. I was shooting in fully manual mode at this point and that helped because this was a tricky exposure with the bright window back lighting the subjects. 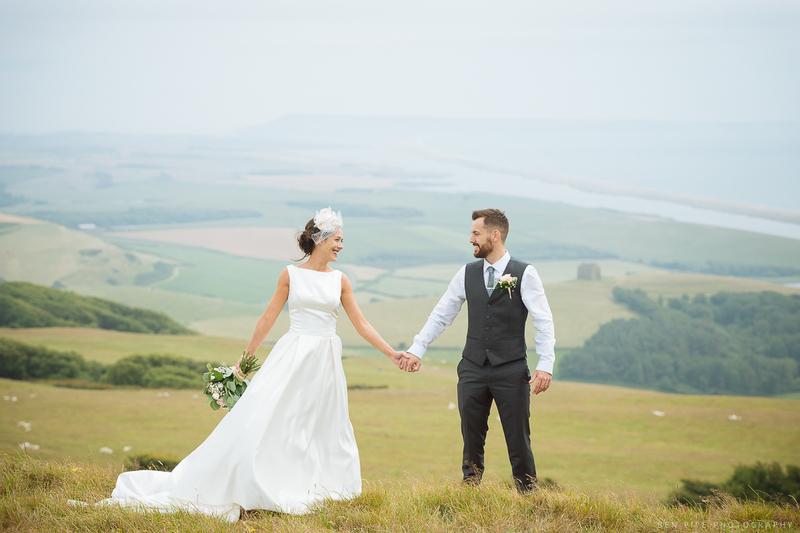 Jo and Max tied the knot in Salcombe, Devon during the summer. 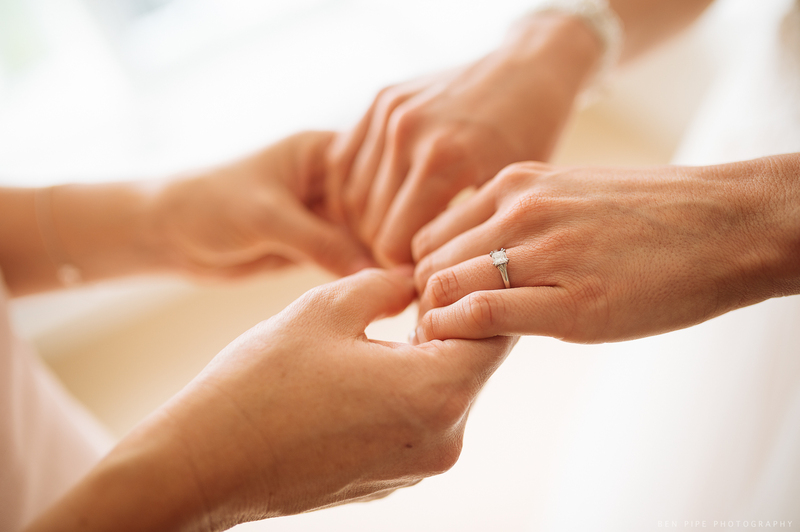 This was a close up detail as Jo held her cousins (and sole bridesmaid) hand before setting off to the registry office. You could see how close their bond was. Sometimes wedding photography is about the other relationships as well as the obvious one between bride and groom. 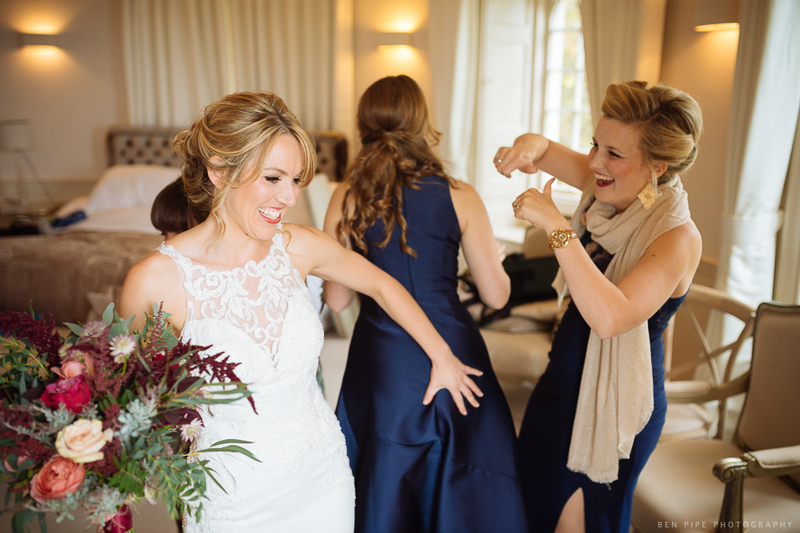 Vicky was great fun to be around, here she preps herself before the ceremony with a friendly grab of her bridesmaid! She married Paul at Penn Castle, Portland in October. I don’t get to photograph the men getting ready very often because the primary photographer is always with the bride, but at venues like Penn Castle in Dorset the bride and groom usually both get ready in the same building, so I’m able to split my time between them. 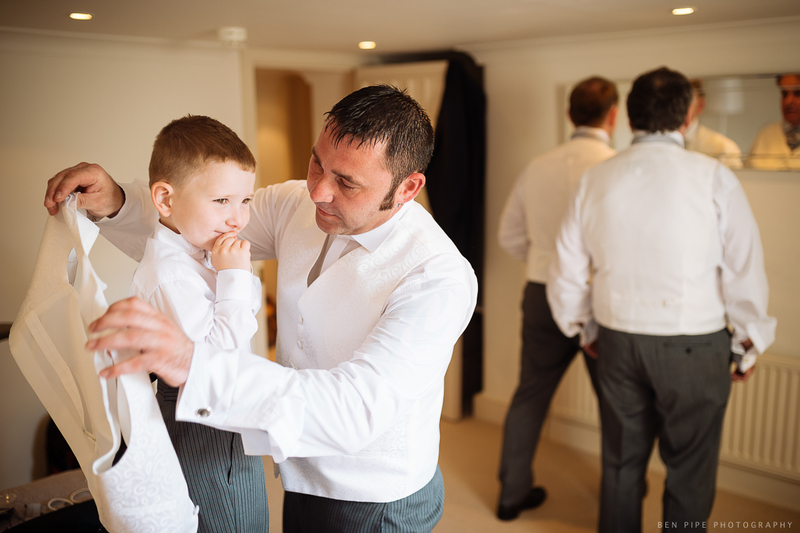 I liked the boy’s expression as his father got him dressed, whilst the groom and best man checked their ties in the mirror behind. 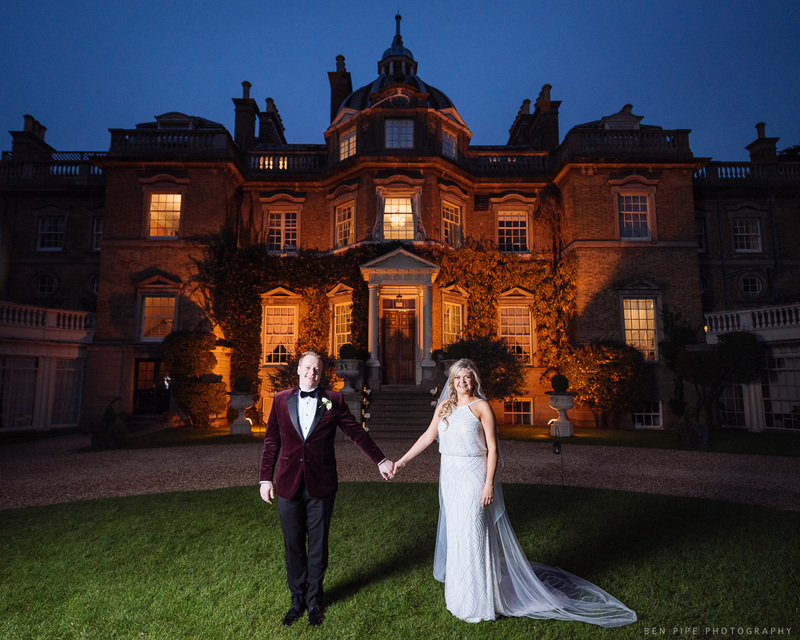 Amanda and Sean got married at The Woodlands Park Hotel in Surrey (these two weren’t them). This was a cute moment caught during the bridal preps. 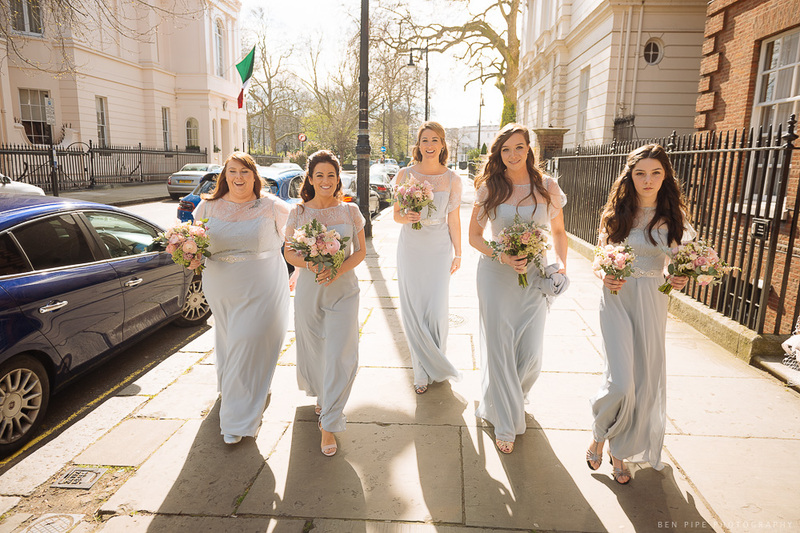 Another picture from Laura and Oliver’s wedding, this was taken as the bridesmaids made their way from the car to the venue; The Caledonian Club in Mayfair, London. The backlighting of March sunshine and facial expressions made the shot work. As a photographer these are usually the tensest moments of the day, I’ll have spoken to the vicar about their rules for shooting the ceremony then rushed out to capture the bride arriving at the church. At Chay and Felix’s wedding there was a long pathway giving ample opportunity to photograph her walking from the car with her sister and father. I love shooting the emotions of wedding days – it is always a challenge and you can never catch everything but certain key moments you can expect a reaction. Sometimes the groom doesn’t look back down the aisle, preferring to stay stoically looking ahead. However Chris did turn to watch Gemma walking up the aisle with her dad. I now pronounce you husband and wife! Amanda and Sean share a first kiss as married couple back in April. 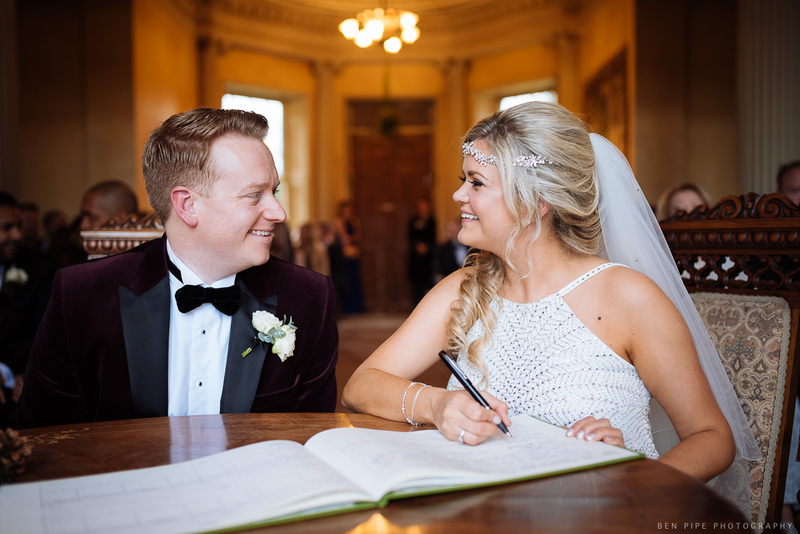 Abi and Pete was my final wedding of 2017 – they married at Hampton Court House at the beginning of December. The light coming into the ceremony room was ideal for photography. Kirby signs the register as her sister (and bridesmaid) looks on in the foreground. The signing of the register is not usually one of the most interesting pictures but I liked the graceful look of this one, along with the composition. 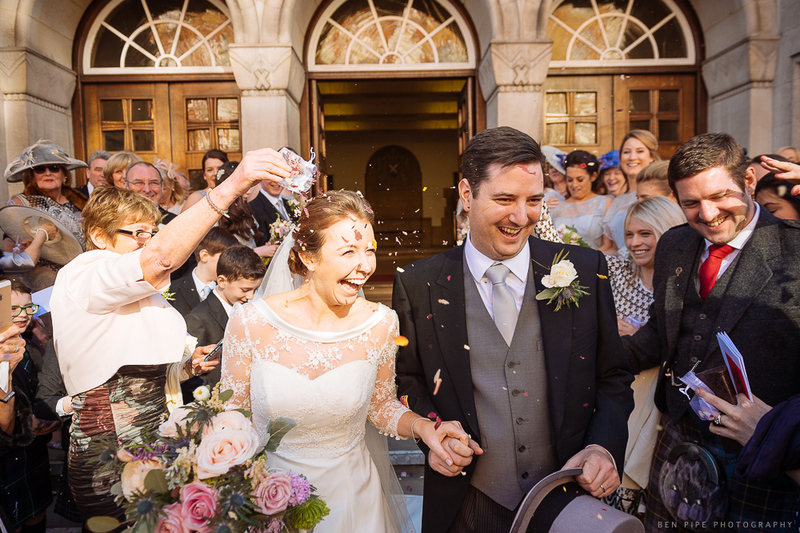 Laura and Oliver exit the church with bells ringing and confetti flying. 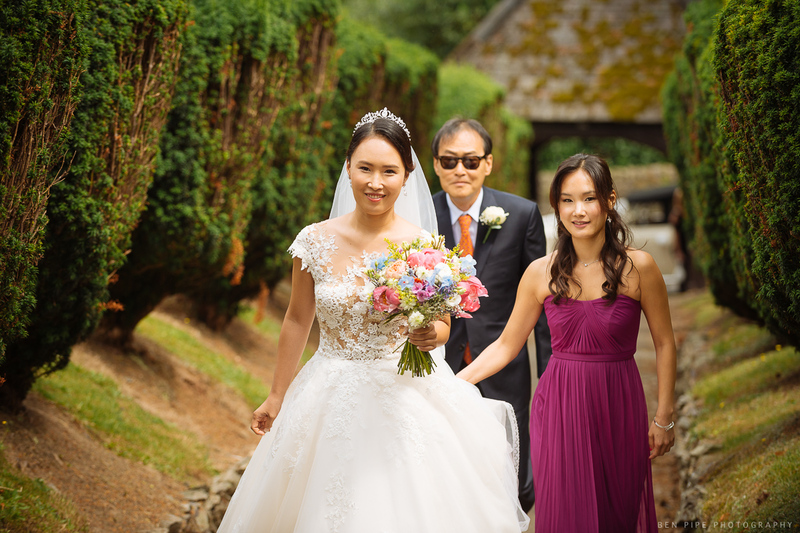 I always enjoy this moment of a wedding – the action, colour and emotion present, and the challenge of me, as photographer having to walk backwards while shooting the couple coming towards me. I try to encourage every couple I meet to include a confetti shower in their day as they never regret it. 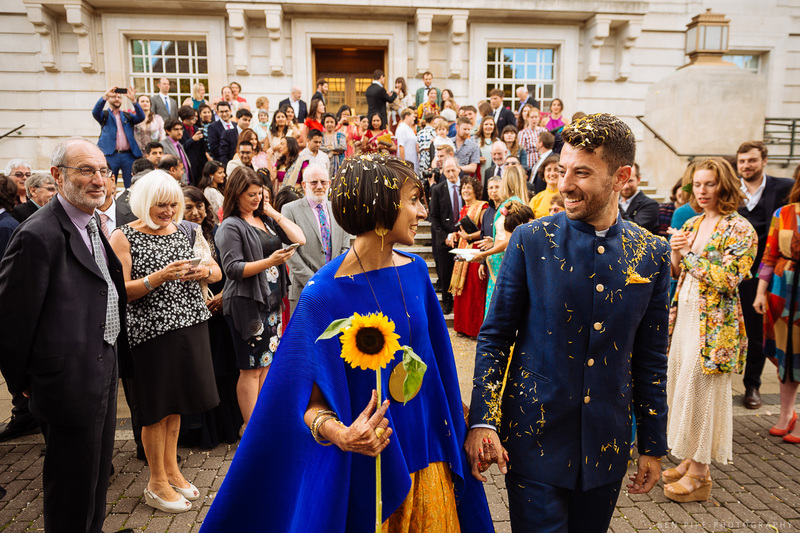 Pooja and Dan had just got married in Hackney Town Hall and done their flower petal confetti on the hall steps, there is so much joy and happiness in this frame. We took a few pictures inside Hackney Town Hall’s art deco interior before heading over to the reception, and I’m so glad we did. 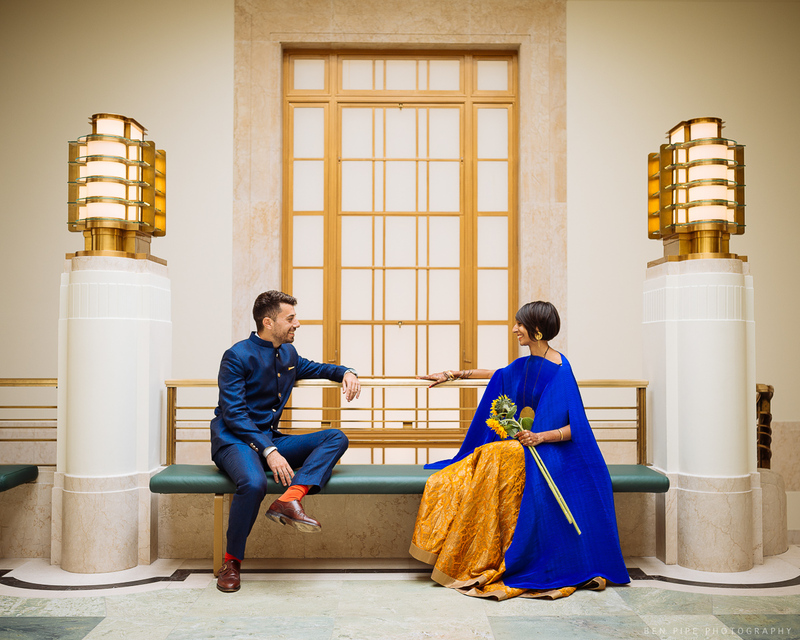 Pooja and Dan both studied architecture and it is a big part of their life; so including the interior of this building (and later the exterior of The V & A Museum of Childhood) was an aim for my photography that day. When shooting back in Dorset this viewpoint over the Jurassic Coast is one of my favorites. Kirby and Tom were up for driving up here before their reception. I used a Profoto B1 and 5 foot Octabox to subtly light the couple on what was a fairly overcast day. I’m always keen to get out for a twilight shoot with the couple, you can see a dedicated gallery of them over on my website. Here the well illuminated facade of Hampton Court House was an ideal background for the picture, and also only a 2 minute walk for Abi and Pete! 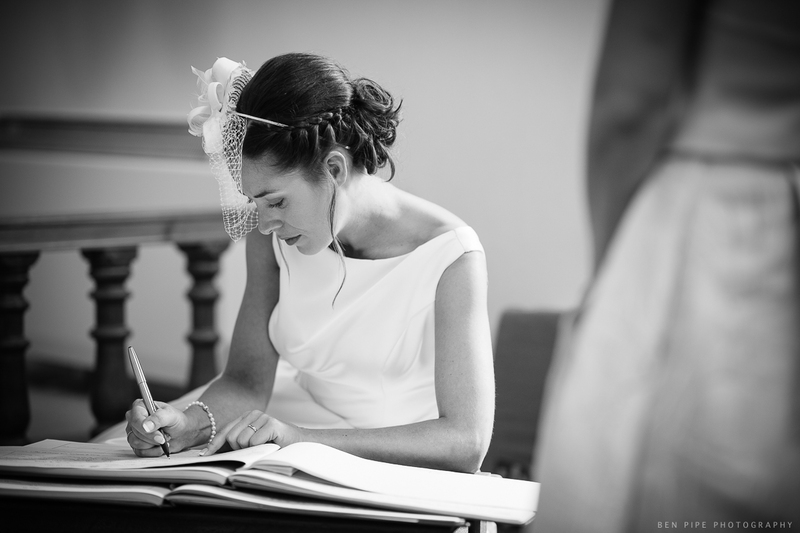 Laura and Dave got married at Sopley Mill in Christchurch, Dorset back in April – seems so long ago now. I believe this was Laura’s uncle who turned out to be quite the crooner! 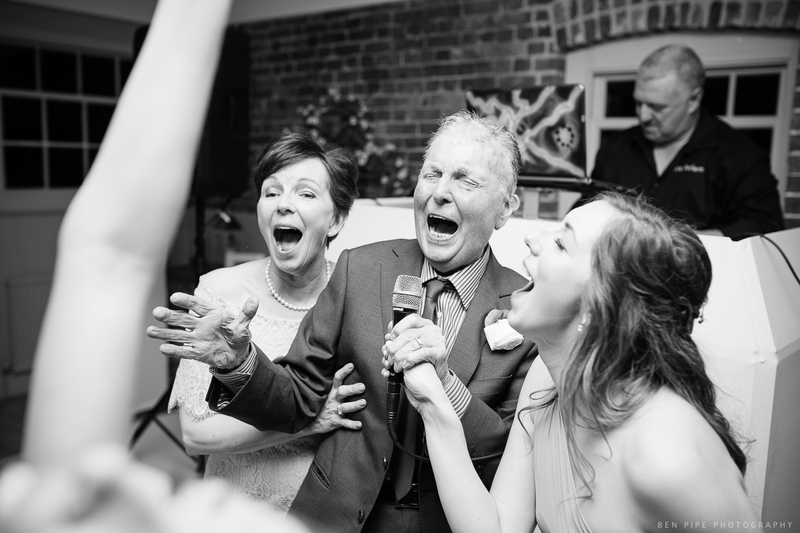 Vic surprised her husband with a performance of Beyonce’s ‘Single Ladies’ – I’ve never seen anything like it but great fun to capture. 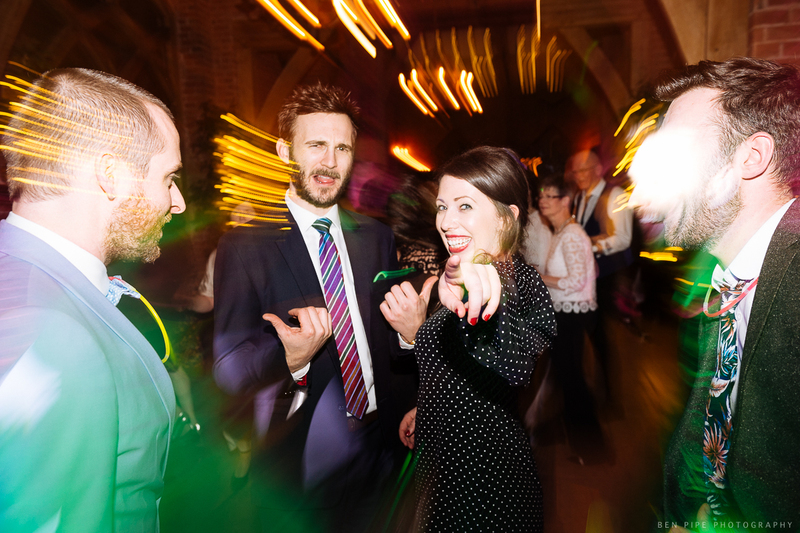 As the dancefloor went late into the night at The Museum of Childhood my assistant and I were enjoying experimenting with slow sync flash shots like this. It happens when you use a slow shutter speed and then have the flash fire at the end of the exposure, so all of the lights will blur into these trails, before the flash freezes the people. 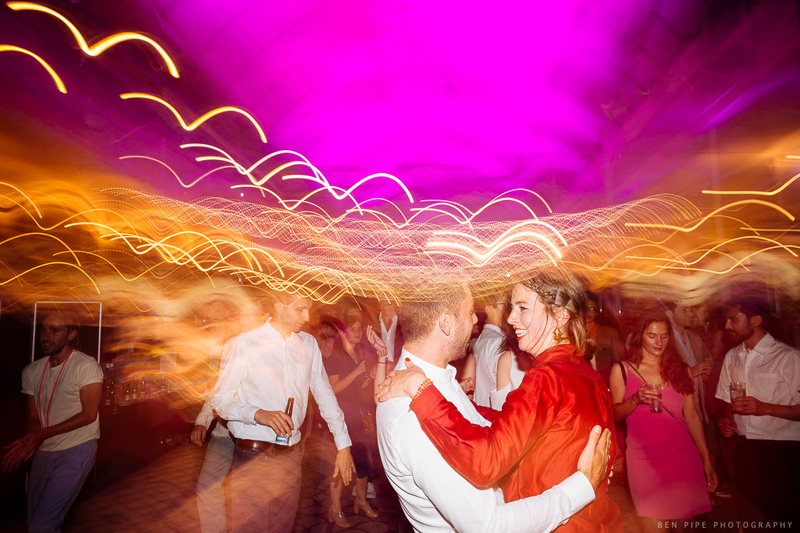 This was a great dancefloor to capture, and then be a part of, one of my best friends – Marc got married to Vicky back in February – my first wedding of 2017.